China is today the fastest growing tourism source market in the world. In 2012, China surpassed Germany as number one in terms of spending in travel abroad, a position it has consolidated over the last two years. 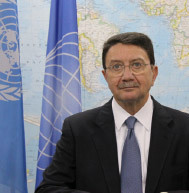 To maximize the potential of the Chinese market, there is, though, a clear need for greater understanding of China today as a means of appropriately and effectively meeting the needs of the Chinese traveler…Initiatives such as China Ready & ACCREDITED® will contribute to the further healthy nurturing of this significant market. 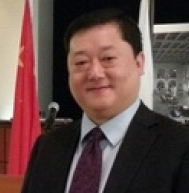 CHINA READY & ACCREDITED® organizations have a ‘special something’ that Chinese people look for when dealing with new businesses: official endorsement. 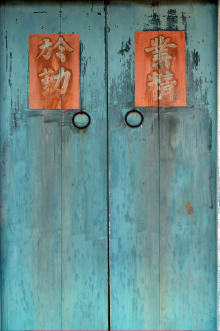 This approval is a great comfort for Chinese buyers and is part of a tradition that goes back thousands of years to the days when Chinese merchants had inscriptions over their doors identifying them as providers of trusted products and services. CHINA READY® China Website, where Chinese people go to look for reliable product and service providers. CHINA READY & ACCREDITED® Quality Service Certification (QSC) Program Rules, and its associated Certification Trade Mark is officially approved by major governments around the world. Our three ready-made packages encompass training, translation and business support, as well as marketing options that can be tailored to your needs. These services equip your organization with the skills and credentials you need to successfully engage with Chinese people. CHINA READY Accreditation™ opens doors to paid marketing opportunities with some of China’s leading brands and media organizations. If marketing is a priority for your organization we recommend the Premium package. If China could be a game changer for your business, it has to be Premium. As well as offering enhanced features - including CHINA READY Specialist Training™ for up to eight staff - Premium opens up the immense opportunities available through our marketing partners and promotional channels. 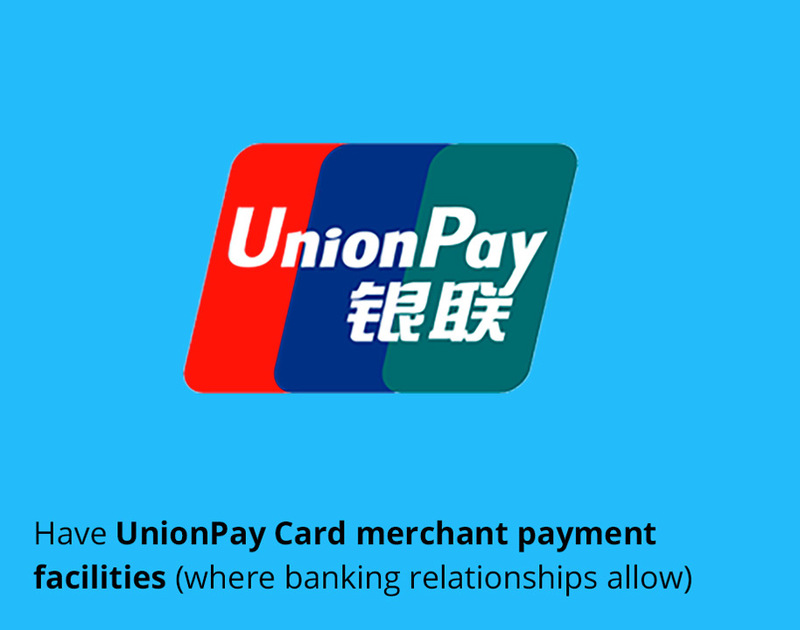 These include co-operative marketing campaigns with UnionPay International. You’ll also be the first to benefit from our promotional initiatives with China’s biggest media outlet. Plus, you’ll enjoy full-page exposure at the CHINA READY® China Website, along with a carefully crafted 1800-word translation of your products and services. It’s the best package we offer, for companies that want the best of what China offers. 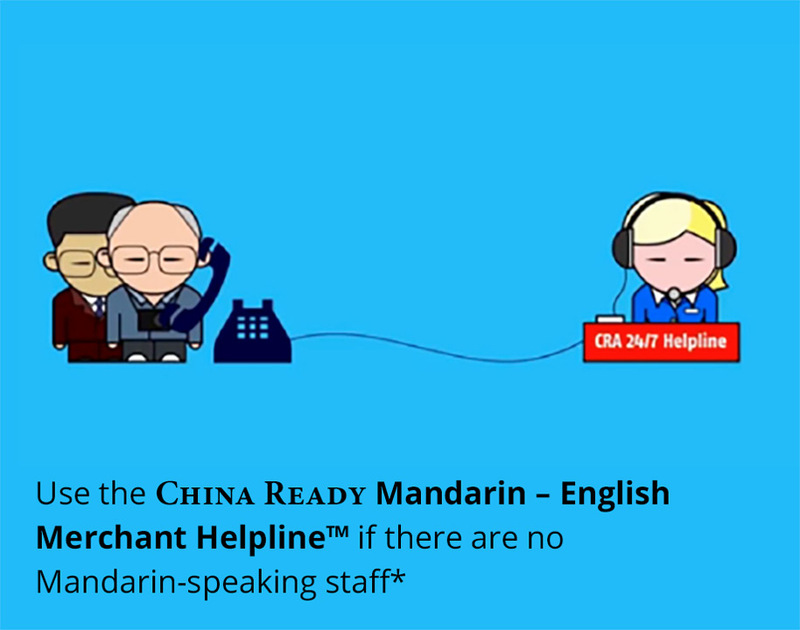 The CHINA READY Mandarin–English Merchant Helpline™* maximises the opportunity for smooth communication between Chinese customers and CHINA READY® accredited businesses, and enables the business to address any issues or miscommunication that may arise with Chinese customers. If your marketing plans aren’t so ambitious, but you still want high visibility for your brand in China, consider our Standard package. As well as Global Certification as a CHINA READY® member and CHINA READY Specialist Training™ for up to four people, you’ll enjoy a bold half-page presence at the CHINA READY® China Website, 1500 persuasively translated words about your business, access to the CHINA READY Mandarin–English Merchant Helpline™*, as well as online analytics to monitor your growing popularity. It might be our Standard level but it will still put you head and shoulders above the rest when it comes to servicing Chinese customers. Our Entry level package is designed for sole traders or small retailers that want to boost their appeal and improve their service to Chinese customers. 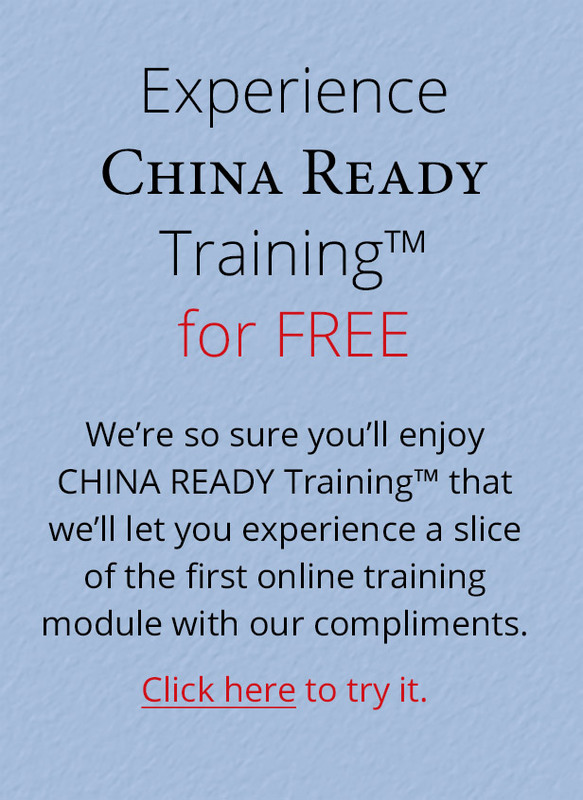 You’ll receive world class CHINA READY Specialist Online Training™ for one person, Global Certification as a CHINA READY® member, and a listing of your organization on the CHINA READY® China Website. Plus, you’ll have window signage and tent card displays to entice passing Chinese customers. 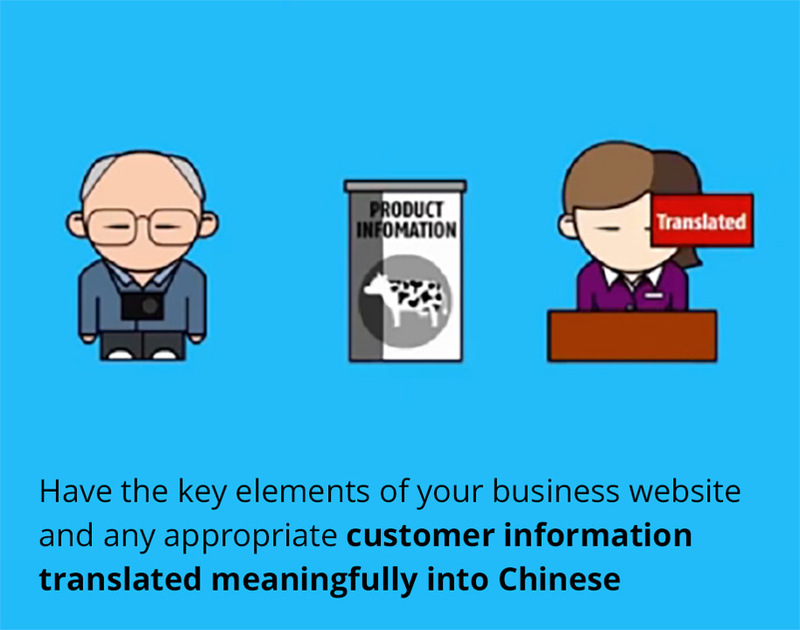 If communication is ever a problem you’ll appreciate having access to the CHINA READY Mandarin–English Merchant Helpline™*, and to ensure the Chinese information on your Website or promotional materials sells your business professionally, we’ll translate up to 250 words for you. In short, Entry level gives you all the things you need to bring in more passing Chinese customers, without actively pursuing it. 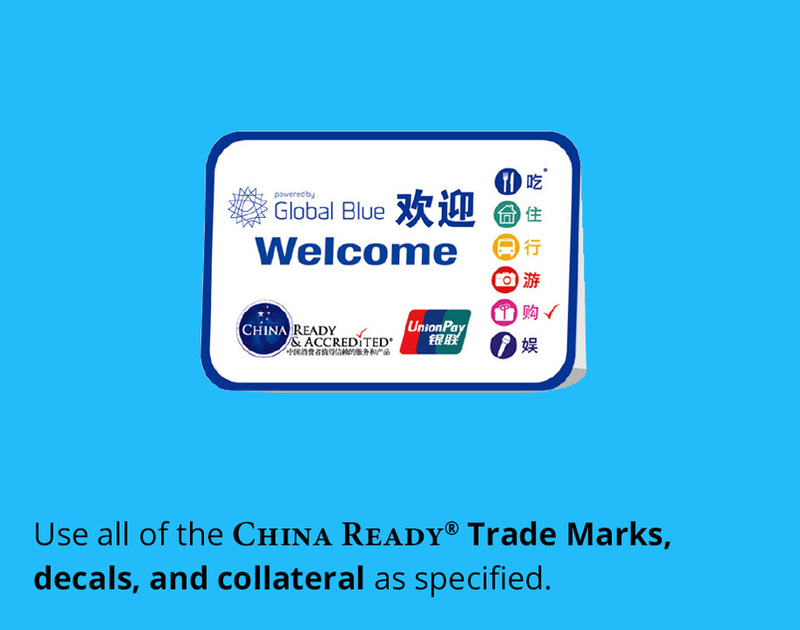 If it was easily acquired, CHINA READY Accreditation™ wouldn’t carry the respect and trust it does. To enjoy the benefits of CHINA READY Accreditation™, you must first agree to comply with our accreditation criteria, the core elements of which are shown below. Adherence to the above criteria is a requirement of all business sectors, although some sectors, such as Accommodation, have additional sector–specific criteria. Our Global Quality Service Certification (QSC) and accreditation requirements provides a guarantee for Chinese consumers that your business will treat them with respect and understanding. It also assures them of a pre-determined level of service quality, safety, and compliance with all laws relevant to your country of operation. If you can prove you already meet with these criteria, you can apply directly for Accreditation. However most organizations choose from one of our three ready-made packages, which make the qualification process very straightforward. 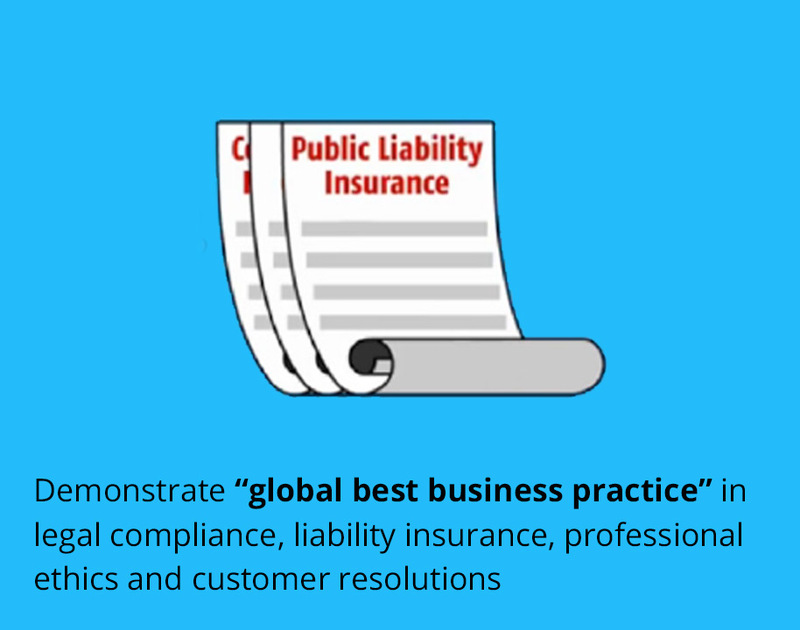 Each business and organization needs to receive a consistent and pre-determined level of training and quality accreditation so Chinese people can know that they will receive the same quality service standard no matter where they are in the world. We hope that through the China Ready Program® global industries in tourism, shopping, restaurants and related sectors will become properly equipped to provide the consistent level of quality service Chinese travelers want. 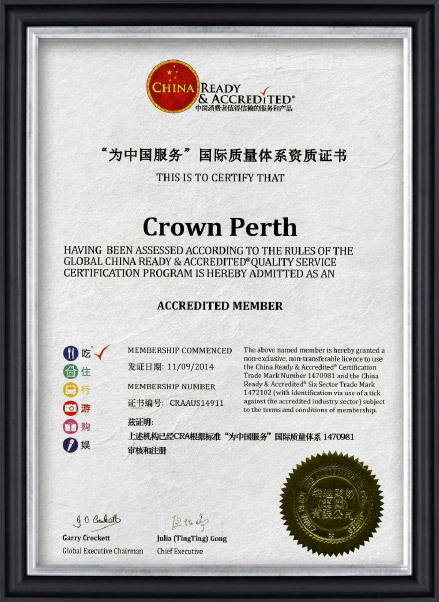 China Ready® is the only independent global Quality Service Certification (QSC) Program of its kind with its rules approved by major governments around the world - including the UK, USA, Canada, Australia and New Zealand. It identifies and certifies individuals, organizations and businesses that provide a quality service Chinese consumers can trust. if it’s not China Ready® be ready for less. Welcoming, serving and satisfying Chinese customers isn’t easily done. 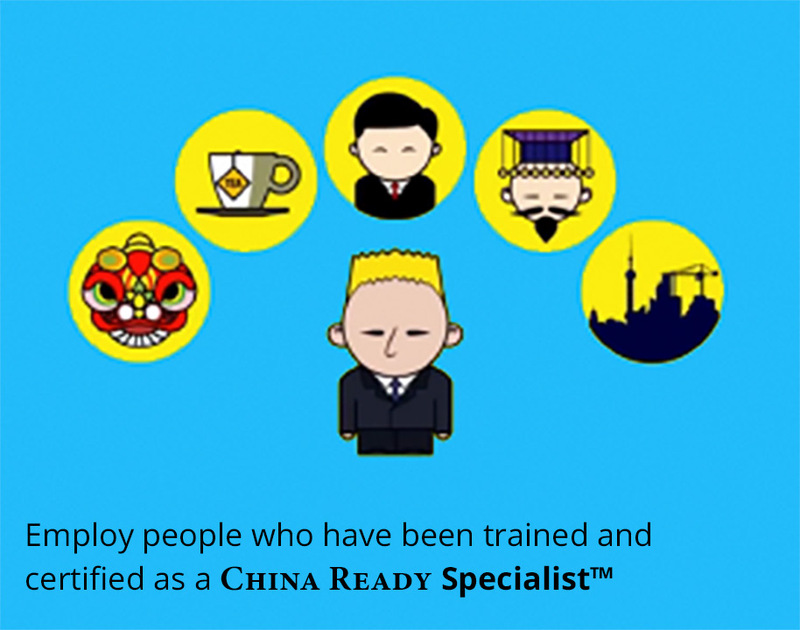 It takes insight, understanding and expert training, which is exactly what your staff will receive from the CHINA READY Specialist Training Program™. Created in China by authentic experts, CHINA READY Training™ is concise, highly informative and enjoyable for people of all countries and cultures. It will benefit your business through an enhanced Chinese customer experience, leading to happier customers, increased advocacy and repeat business. 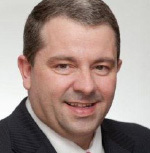 Moreover, because the exact same training is delivered globally, it provides an internationally consistent standard. CHINA READY® has partnered with Kaplan, the world’s leading provider of lifelong education, to deliver CHINA READY Online Training™. The program consists of 12 cultural core learning modules*. Each online module includes learning material and “checkpoint” quiz questions. Available anywhere, at any time. Receive an official CHINA READY & ACCREDITED® Membership Certificate. *Additional industry specific modules are available including education, tourism and hospitality, banking and finance etc. If you have a group and want CHINA READY Training™ delivered face to face, we can easily organize this for you through our internationally renowned training partners, Laureate and Kaplan. We can also tailor additional content to meet your specific needs or circumstances. We’re here to help and will do everything we can to make you and your organization CHINA READY®. 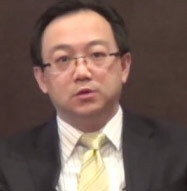 Chinese people are different from Western people and have their own unique customs and preferences. The China Ready Program® provides a very good professional platform helping non-Chinese individuals and businesses to know how better to welcome, understand and engage with Chinese people. 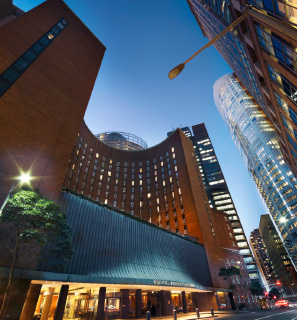 Accor Pacific is the largest hotel and hospitality operator in Australasia and one of the largest in the world with hotel brands including Pullman, Sofitel, Sebel, M Gallery, Mercure, Novotel and Ibis. Accor was the first global hotel group to recognize the importance of the outbound China market and was one of the first international hotel groups to establish a significant accommodation presence in China. 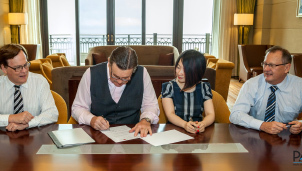 Since the launch of our Optimum Service Standards Program for Chinese visitation several years ago, we have witnessed the positive impact that tailoring our services to meet the needs of Chinese guests has had on our hotels. In order to remain competitive in the Chinese market we must continue to adapt and attune ourselves and staff to the sensitivities and preferences of Chinese guests so that they experience Australia and our hotels in the best way possible. Accor is constantly building on its Chinese relationships and is delighted to work with China Ready & ACCREDITED® to achieve our goals. 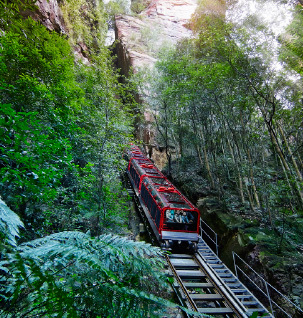 Located in the UNESCO World Heritage Blue Mountains, Scenic World is Australia’s largest privately owned tourist attraction. A third generation family business, Scenic World Blue Mountains has seen enormous growth in its China market over the past few years and expects to welcome more than 180,000 Chinese visitors in 2015. 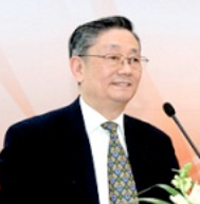 China Ready® and meeting the needs and expectations of Chinese visitors. We know that the China market will grow enormously in the years ahead so have made sure we are positioned to take full advantage of that growth. An internationally acclaimed not-for-profit association, PATA comprises 90 government, state and city tourism bodies, nearly 30 international airlines, airports and cruise lines, 57 educational institutions, hundreds of travel industry companies and thousands of travel professionals in its 41 Chapters worldwide. 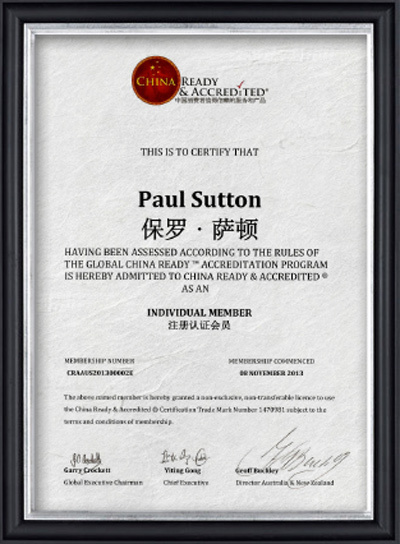 PATA signed a Master License agreement with CHINA READY & ACCREDITED® in Zhuhai, China in May 2014, to promote the global rollout of the CHINA READY Program® to PATA Members. Destinations and companies that want business from China can give themselves a real advantage by attaining China Ready Accreditation™. It’s one of the best investments in the future that a tourism body can make these days. The National Tourism Alliance is pleased that China Ready & ACCREDITED® has chosen Australia for the global launch of their online program. 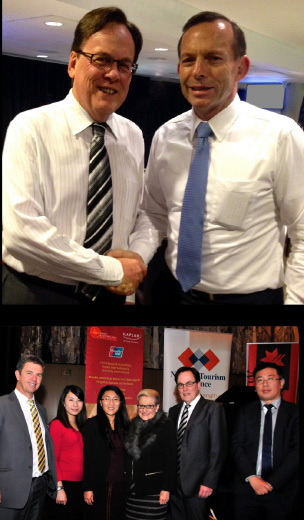 The China market is of critical importance to Australia and many of our member Associations have already implemented the China Ready® and China Ready & ACCREDITED® programs with great success.